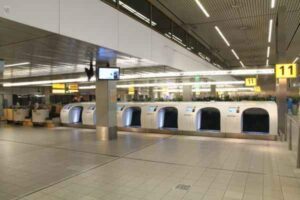 BagDrop Systems optimises airport terminal operations through efficient and innovative self-service products and services. The growth of passenger self-service check-in is evident so the airport departure terminals of the future will largely have a baggage drop-off and service point function. These trends have an impact on how to set-up terminal operations. Our approach is to first define the best-fit operational concept. This definition involves all parties, including the airport, airline, handling agent and possibly governmental security parties. Passenger and baggage profiles and loads are used to set up a best fit passenger flow and functional terminal design, including self-service and staffed operation. The prerequisites are that safety levels and security standards are met and preferably enhanced. Our analyses are based on quantitative and qualitative views of the current processes to determine the impact and business case for change. 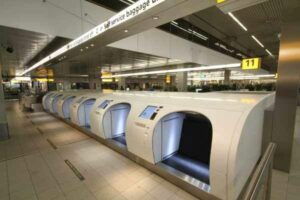 The fully integrated BagDrop unit is a single passenger touch-point for self-service check-in and securely dropping off baggage. Operational tools to monitor the process include monitoring dashboards and agent PDAs. 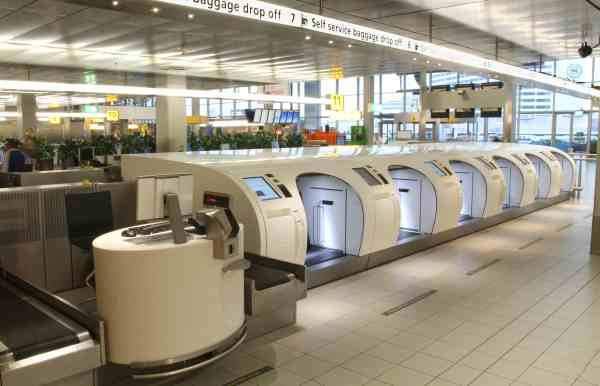 The optional payment platform enables facilitation for additional revenue, such as payment of overweight or multiple bag fees, as well as fees for upgrading or up selling. Our CUPPS platform, CUPPS application and specific stakeholder monitoring dashboards are fully configurable to airport and airline business rules and branding requirements. The application can help with different airline processes simultaneously and dynamically adapt the branding to the desired style. It is multi-lingual and currently facilitates 15 languages, which can be easily adapted and expanded. As a subset of the fully integrated solution, BagDrop add-on solutions are available for brown field situations. The BagDrop application can also be applied as a generic agent-facing application.